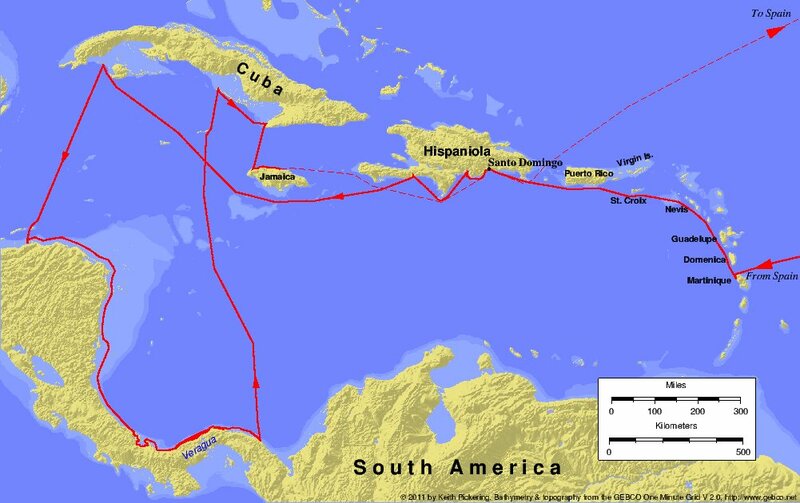 1 Nephi 13:12 is often interpreted as referring to Christopher Columbus. 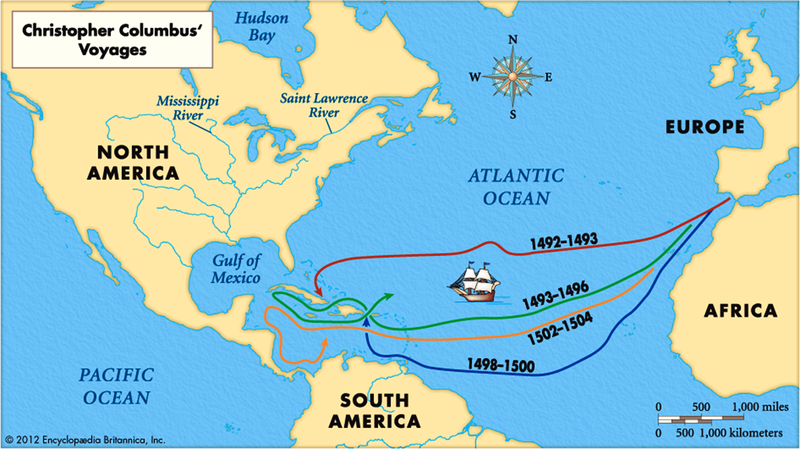 Columbus made four voyages to the New World between 1492 and 1504. 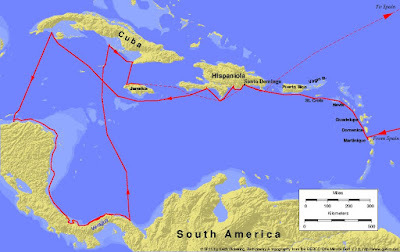 This is a simplified map of the four expeditions. 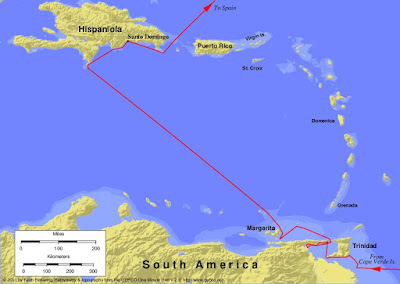 This is a more detailed map of the first expedition. Bahamas More than 1,000 members in 3 congregations. 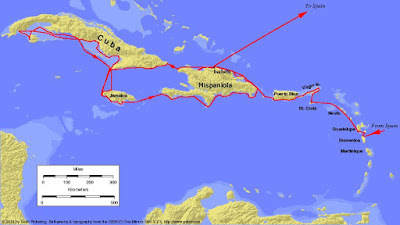 Cuba More than 100 members in 2 congregations. See this Church News article. Haiti More than 21,000 members, 1 mission, 44 congregations, and 1 temple under construction. Dominican Republic More than 129,000 members, 3 missions, 199 congregations, and 1 temple. Dominica More than 100 members in 1 congregation. Guadeloupe More than 500 members in 3 congregations. Saint Kitts and Nevis More than 200 members in 1 congregation. Virgin Islands More than 500 members in 2 congregations. 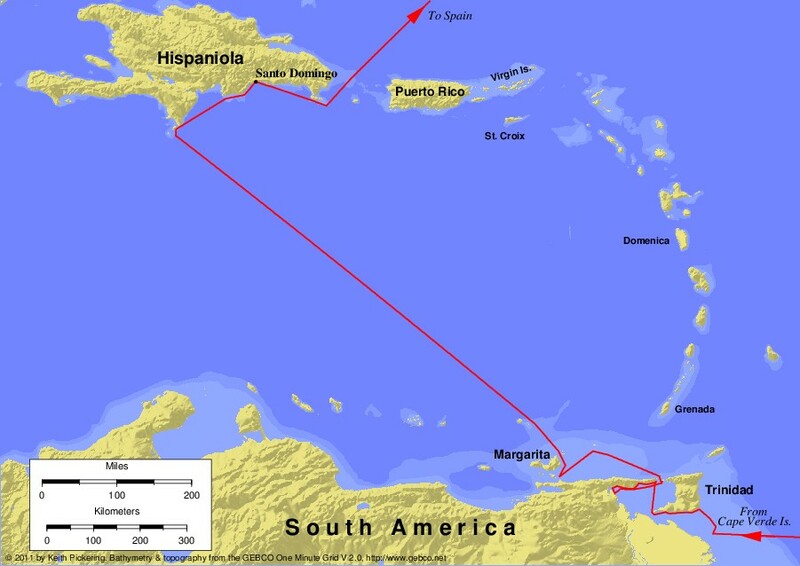 Puerto Rico (US Territory) More than 23,000 members, 1 mission, and 42 congregations. Trinidad and Tobago More than 3,000 members, 1 mission, and 10 congregations. Venezuela More than 165,000 members, 4 missions, 256 congregations, and 1 temple. Martinique More than 200 members in 1 congregation. Honduras More than 169,000 members, 4 missions, 232 congregations, and 1 temple. Nicaragua More than 92,000 members, 2 missions, and 103 congregations. Costa Rica More than 46,000 members, 2 missions, 74 congregations, and 1 temple. Panama More than 51,000 members, 1 mission, 71 congregations, and 1 temple. Jamaica More than 6,000 members, 1 mission, 19 congregations. 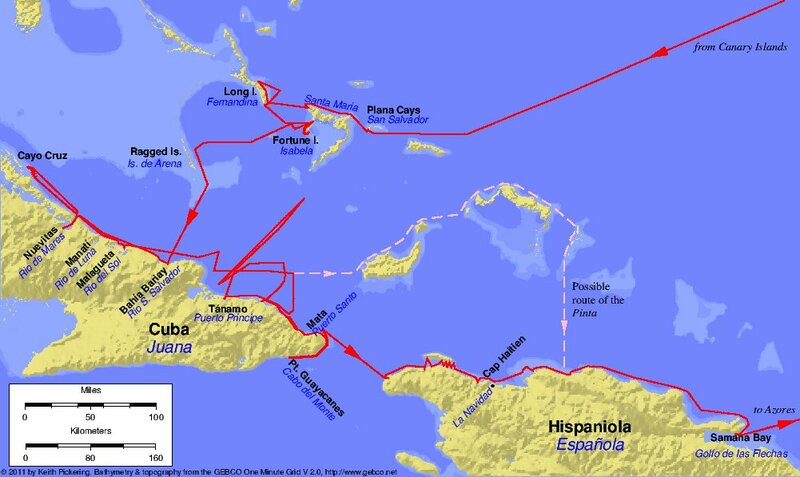 If 1 Nephi 13:12 really does refer to Columbus, then the seed of Nephi's brethren, the Lamanites, inhabited Central America, South America, and the Caribbean at European contact and those areas were part of the Book of Mormon promised land. 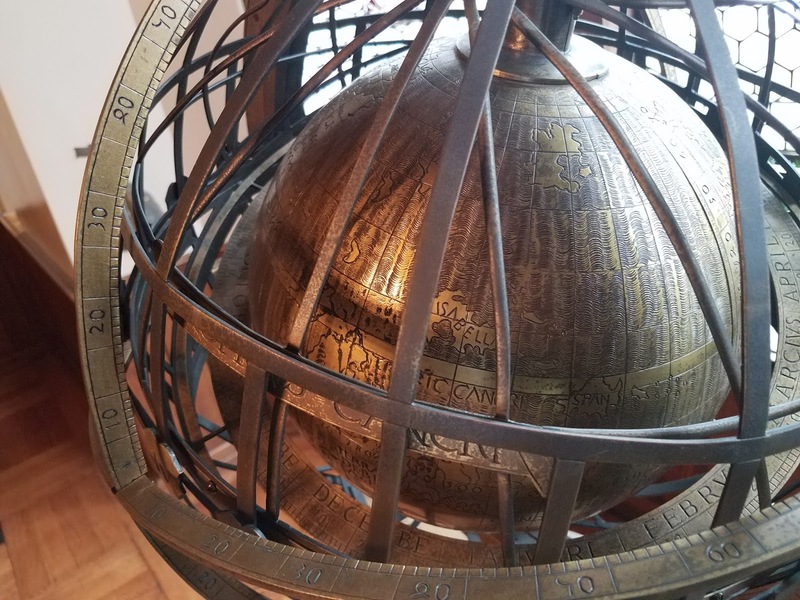 In the Cathedral of Learning at the University of Pittsburgh, the Polish Room displays a replica of a world globe crafted in 1502 in Poland. 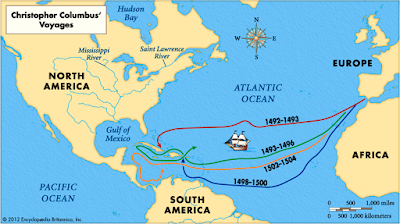 That was in between the third and fourth voyages of Columbus. 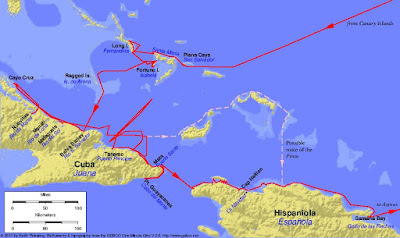 Notice the island labeled "Isabella" as in Spanish royalty Ferdinand & Isabella. That was the way one European mapmaker represented the entire Western Hemisphere in 1502 based on information Columbus had brought back from the New World. Isabella was an attempt to represent the landmasses of what are today Puerto Rico, the Dominican Republic, Haiti, Cuba, and Jamaica.